Chiropractors will always seek to treat shoulder pain with the most gentle and drug-free methods possible. The ultimate goal of chiropractic care for shoulder pain is to bring the patient's shoulder back to full function while reducing and eliminating the pain caused by the injury. 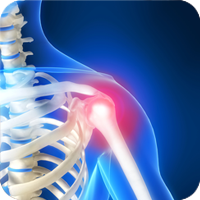 Shoulder pain can have a number of different causes, ranging from an injury like a car accident, to a chronic problem like arthritis. Patients who experience shoulder pain may be surprised by the intensity and duration of the pain. The shoulder area is so essential for completing daily activities that it makes sense that the shoulder pain injury should be taken seriously and treated to avoid worsening your condition. Some signs that shoulder pain needs immediate attention may include a decreased ability to hold objects, decreased functioning of the arm, shoulder pain that persists even while at rest, shoulder pain that lasts more than a day or two, and unusual twinges or aches in the shoulder area. Chiropractic care can be an extremely effective treatment for shoulder pain regardless of its cause. A chiropractor will often begin with an examination of the patient's neck area since shoulder pain can frequently be the result of "referred" pain from the neck. Whether the shoulder pain is connected to the neck or is limited to the lower part of the shoulder, it can generally be treated with non-invasive methods of natural healing such as chiropractic care. Care for an injured shoulder may include application of heat, application of ice packs, gentle manipulation from the chiropractor to help the shoulder return to its original state of functionality, and gentle stretching and strengthening exercises that the patient can perform at home.